Music and leisure concept. Dj with beard wears headphones, copy space. Man holds thumbs up on blue background. 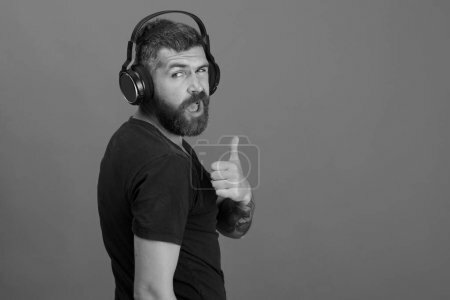 Singer with beard and happy face listens enjoys music.